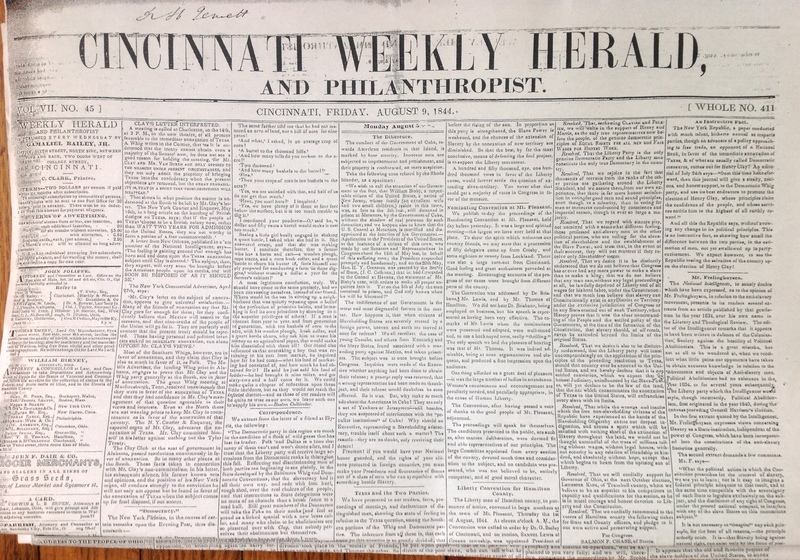 The Philanthropist, an anti-slavery newspaper, was published in Cincinnati from 1836 through 1847. 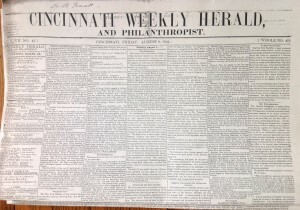 (After 1843 it was titled Cincinnati Weekly Herald and Philanthropist.) The paper is an invaluable primary source document for events that took place in Hamilton County during those years. Its first hand accounts of anti-slavery conventions in Mt. Pleasant are our best documentation available on those meetings. 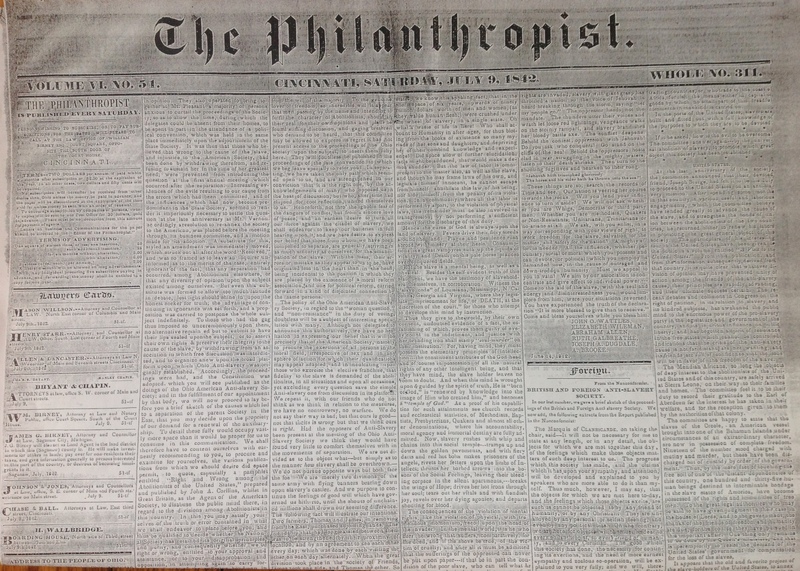 The Philanthropist did not limit itself to local reporting; Birney and Bailey reported newsworthy items from around the country and even internationally. It started as an independent anti-slavery publication that achieved a wide circulation in the midwest. 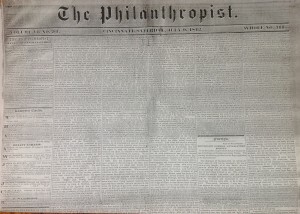 After the formation of the Liberty Party in Ohio, The Philanthropist became the official publication of that organization. The Philanthropist was co-edited by James G. Birney (1792-1857) and Gamaliel Bailey, Jr. (1807 – 1859) and published by Achilles Pugh. Pro-slavery mobs twice attacked the offices of The Philanthropist and damaged the printing press during 1836, but production was quickly resumed. So intense was the hostility toward anti-slavery in Cincinnati that Birney removed the offices of the paper for a short time to New Richmond, but before long returned to Cincinnati.